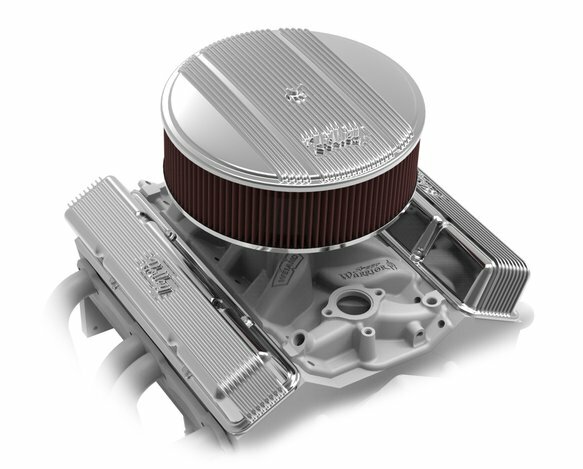 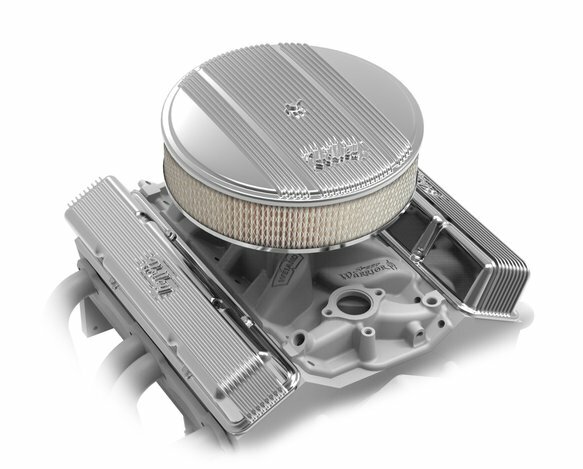 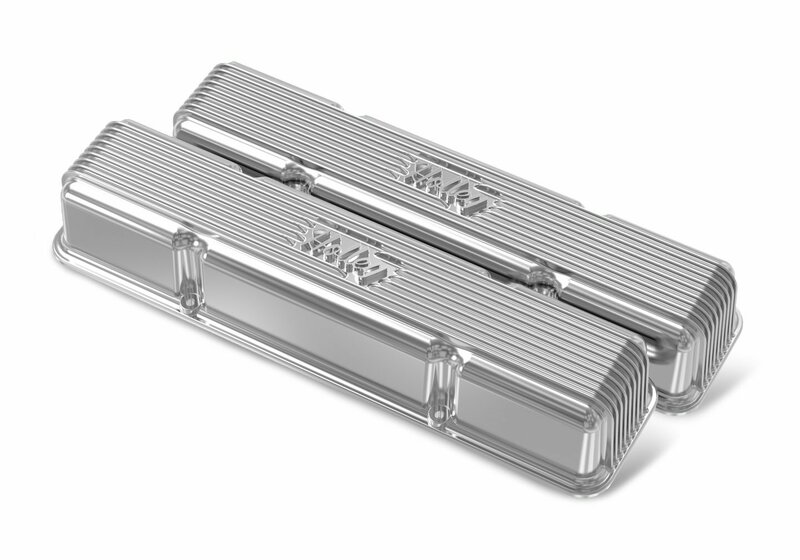 CAUTION: If your engine has non-standard valve train components, such as a high-lift camshaft, roller-tip rocker arm, higher lift ratio rocker arms, stud girdles, etc., there may be insufficient clearance when using the Holley-Vintage Series finned aluminum valve cover. 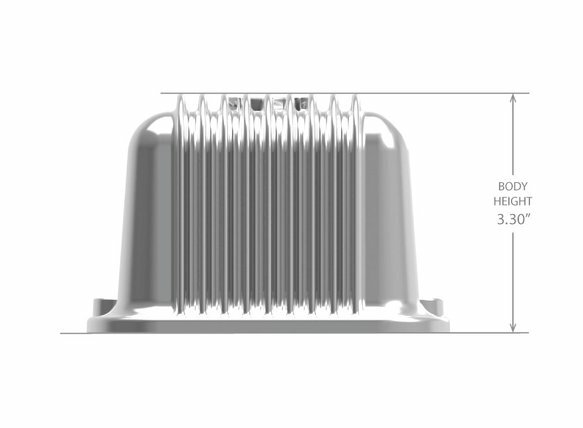 You must check all internal clearances according to the instructions in the kit. Holley is pleased to offer their Vintage Series Small Block Chevy Valve Covers. 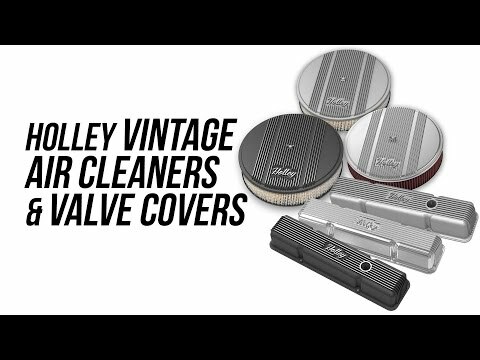 These new products are the first of the Vintage Series family of die-cast aluminum dress up products featuring a classically inspired finned design and a retro-style Holley script brand mark.